We have developed a new Fundraiser script to make charity foundation more reliable and transparent donation site. 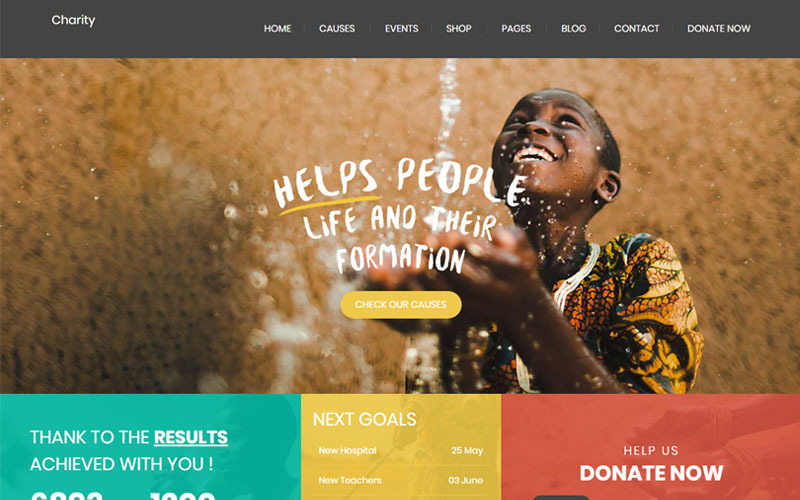 Our charity foundation script will make the successful platform that could raise money for any Non profitable NGO, Non-profit charity projects, etc.So it is expressive script for those who like to start the donation based crowd-funding site. Our Charity foundation script is designed not only to donate the money for any-social cause for the organization, here we have added one more specialized feature that to buy the e-commerce product in the site instead of simply donating the amount to any organization and the payment can be made over through online secure payment gateway so the amount will be transferred to respective organization. In our Charitable Donation script the user has to register their account with their respective mail id, valid name and password. After log-in user can able to view profile, donation list, payment tracking, donor accounts etc.The user can also buy the products from the cart so the required amount will be transferred to particular Organization, here the user can also list the product to the cart, and the user can view the quantity and price of the product, the user can also review the product.The user can able to keep track of their payment and the donation payment listings can also be viewed to which charity the amount has been credited. We also added eventcalendar for the user to view the NGO list event available in the particular day or month. The Charity foundation script is one of the most inventive Crowdfunding sites that permits Non profitable organization to post any social cause, organization need to register their social causes to accept and invite donations through our script, the people can be the part of volunteer, so if there is any causes occurred the organization can request the volunteer, we have developed this script as user-friendly, designed as professional charity site, with advanced wordPress. The admin has control over the entire Charitable Donation script, he can able to view and manage the details of the user and organization, he can approve the social causes or request, and then all the listings are available in the single dashboard. Fundraiser scriptis made with user responsive, SEO-friendly URL to make easy access of the site, we provide some additional offer with this script by making brand-free site, 6 months free update services, 24×7 technical support team help for your solution. I used this script for my charity and it helps to reach the source persons. Hats-off to those who developed this excellent idea. Contribute of PHP Scripts Mall in my foundation to get the charity is entirely big. Really great work from you. I suggest this script for those who like to maintain their accounts in online. User friendly design makes me to handle easily.